Max was 2 months old when Kelly noticed his head shape was "off." Kelly brought it up to his pediatric doctor and he agreed. He gave Kelly a referral to a plastic surgeon and neurologist. He also wrote the diagnosis of craniosynostosis on the paper. Of course when Kelly got home, she googled craniosynostosis, and was scared of what craniosynostosis meant for Max. Max's new doctor ordered a CT scan to make sure he wouldn't need surgery, as they thought his soft spot sutures had fused. Thankfully, they were open and all that was needed was a helmet to shape him up. 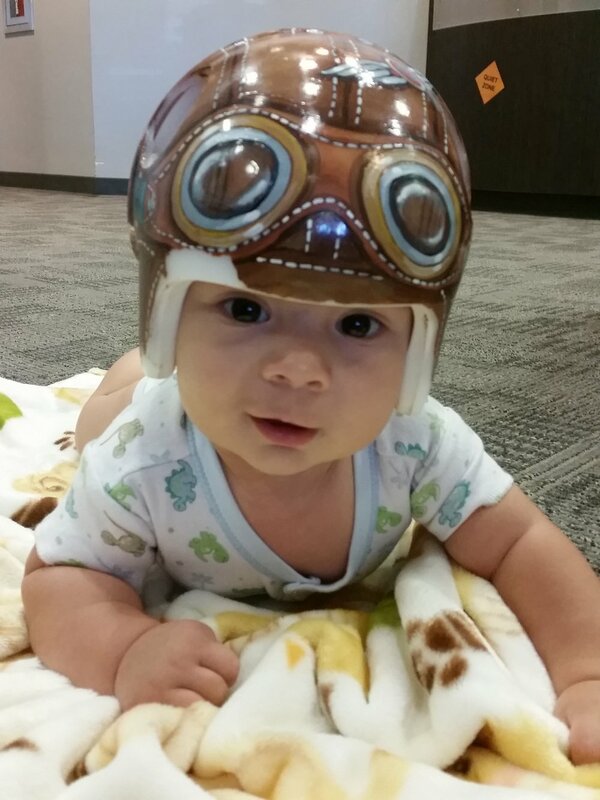 The next couple of weeks, Max got a scan, and his helmet and adjustments were finalized. The team of doctors and specialists that worked with Max and his family during this time was a refreshing experience. Within a matter of weeks, Kelly could already see Max rounding up, and he was off in a few months.